With a business degree from NTSU and over 37 years of local experience in pool construction, renovation, and pool repair, Dallas native Earl Neal truly is a seasoned pool professional. 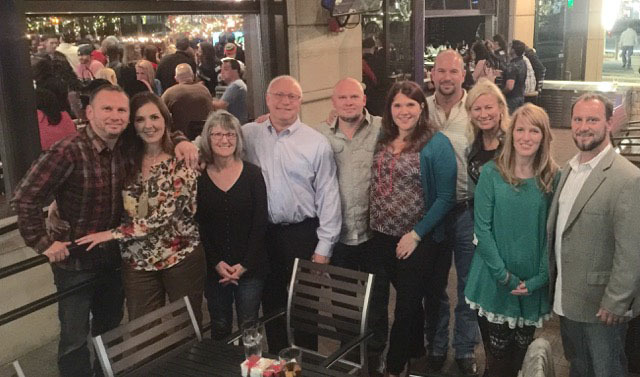 After becoming the first NSPI certified technician in North Texas, Earl went on to teach certification courses for the National Spa and Pool Institute in his spare time, helping to ensure that pool professionals throughout the state were properly trained. Earl began his pool career as a partner at Dallas Pool Service Co. and M. M. Moore Construction, where he remained for 33 years before leaving to build a more personal company. When he started Select Pool Services, it was with the vision of offering quality services to a select clientele, ensuring that each project could benefit from his full attention and personal service. That goal remains at the forefront of the company today. With careful project selection and skilful project management, Earl is able to supervise personally every pool remodel, construction, and pool repair in Dallas to ensure that every job is completed to the highest standards of quality and service. With six years of experience in Air Force Civil Engineering, specializing in plumbing, Jason DePauw brings quality workmanship and efficiency to every Dallas pools project. His meticulous attention to detail and personal commitment to exceptional service make him an asset on every job. When it comes to pool remodeling, custom pool construction, and all types of repairs, Dallas homeowners appreciate the integrity and professionalism Jason represents. As a focused, driven craftsman, Kevin has a keen eye for observing all aspects of each swimming pool component, which translates into problem identification, preventive maintenance, and complete satisfaction for each homeowner we serve. For new construction, pool remodels, and especially equipment repair, homeowners know they are in good hands with Kevin on site. His quality workmanship and penchant for pool safety ensures that each job is completed to the highest standards and in strict adherence to the latest government regulations. Dallas area pool owners can trust Kevin to diagnose each equipment problem presented to him, communicate the repair needs with the customer, offer recommendations for the most efficient system operation, and make authorized repairs expertly and efficiently. In the expanse of West Texas, Matthew honed his mechanical and customer relations skills as an oil field construction and design supervisor. His experience has translated seamlessly to the pool repair world, where his knowledge of plumbing and mechanical operations gives him the ability to diagnose and repair all pool equipment issues expertly and efficiently. He understands pool chemistry well and can recommend necessary actions when water chemistry is not quite balanced. Customers of Select Pool Services trust Matthew’s recommendations, whether it be for repairs or more cost-effective and energy-efficient equipment. Dallas pool owners can be confident that Matthew will diagnose, explain, and correct any pool equipment problem they may have.